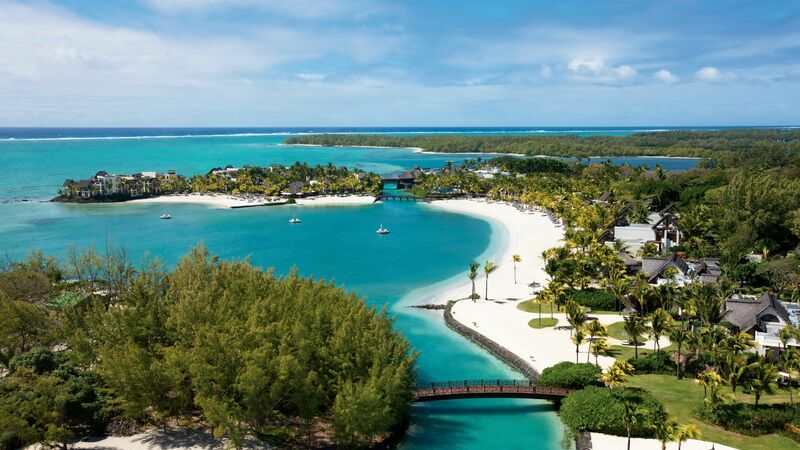 Holidays in Trou d’Eau Douce transport you to Mauritius’ tranquil eastern coast and a picture perfect authentic village surrounded by white sands edged with the cerulean waters of the Indian Ocean. It’s the ideal holiday destination for families and couples seeking to relax and unwind and enjoy the year round sunshine. The more active will enjoy taking to the waters, snorkelling and diving in the lagoon while spotting the local exotic marine life and impressive coral reefs. Kite surfing is also popular in the shockingly blue water. Sample a slice of classic Mauritius with powdery, white sands, shady palms and a sparkling lagoon on tap. Immerse yourself in complete rest, relaxation and rejuvenation in a real get away from it all holiday sanctuary. A sprinkling of hotels, restaurants and shops line the sea facing Royal Road which meanders along the ribbon of pristine beach. In the evenings, sample the fresh catch of the day at the exquisite waterfront eateries as you watch the mesmerising Mauritian sunset. Luxury holidays in Trou d’Eau Douce allow you to indulge in a laid back, traditional side of Mauritius, away from the busier resorts. The sheltered bay is a magnet for catamarans and fishing boats and a trip to the neighbouring Ile aux Cerfs comes highly recommended. Enter a miniature paradise island home to footprint free beaches and glistening waters and backed by swaying casuarina trees. Ile aux Cerfs is also home to an 18-hole championship golf course with panoramic ocean views. Trou d’Eau Douce features a collection of fine hotel accommodation and at Sovereign we will tailor make a holiday to match your requirements, including private airport transfers and complimentary selected airport lounge access. The Shangri La Le Touessrok Resort and Spa is a fantastic choice. Situated on a beautiful private beach, it comes compete with a beach club, dive centre and impressive ocean view suites. Guests will enjoy unwinding at the onsite Spa before sampling mouth watering Japanese cuisine. Transfer time from Mauritius airport to Trou d'Eau Douce is approximately 1 hour.